Flora was born in 1982 in the wilds of Zimbabwe, Africa. 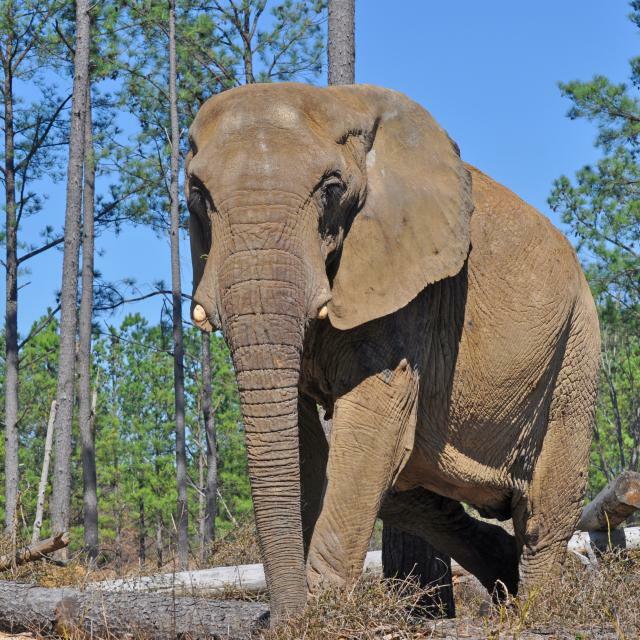 She was orphaned at age two and brought to the United States after being separated from her family herd. 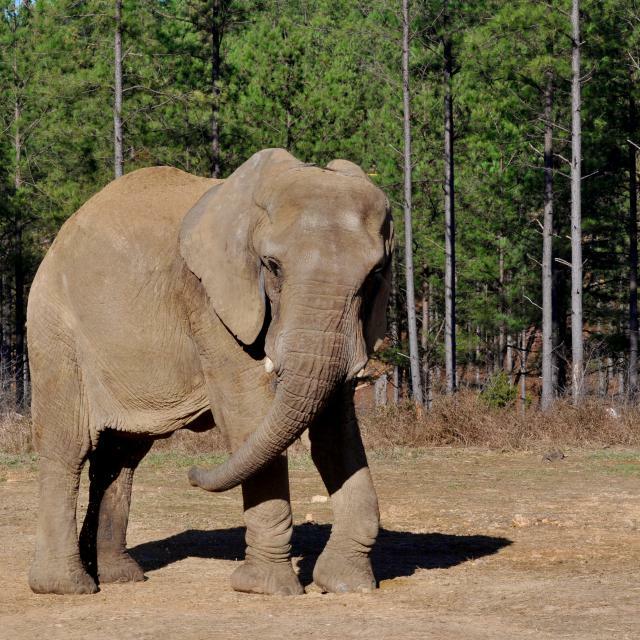 In the US, Flora was purchased by David Balding, who introduced her to the circus in 1985. She quickly became the star of the show and spent the next 18 years performing center ring in Circus Flora. In addition to her circus performances, Flora also starred in the PeeWee Herman movie Big Top PeeWee. After years under the big top, Flora began to mature, and Balding realized that she no longer enjoyed performing. In 2001, he began to research options for her retirement. Flora resided temporarily at the Miami Metro Zoo in Florida while Balding sought a permanent home for her. He hoped Flora could be returned to Africa and re-introduced into the wild, but that option proved unrealistic. 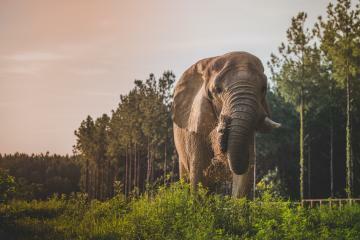 The Elephant Sanctuary, which was in the process of creating an African elephant habitat, offered to expand their construction plans and give Flora a permanent home. Crossover Films of Los Angeles documented Flora’s journey from an orphaned baby to a circus superstar and then to The Sanctuary. The documentary film is titled One Lucky Elephant. 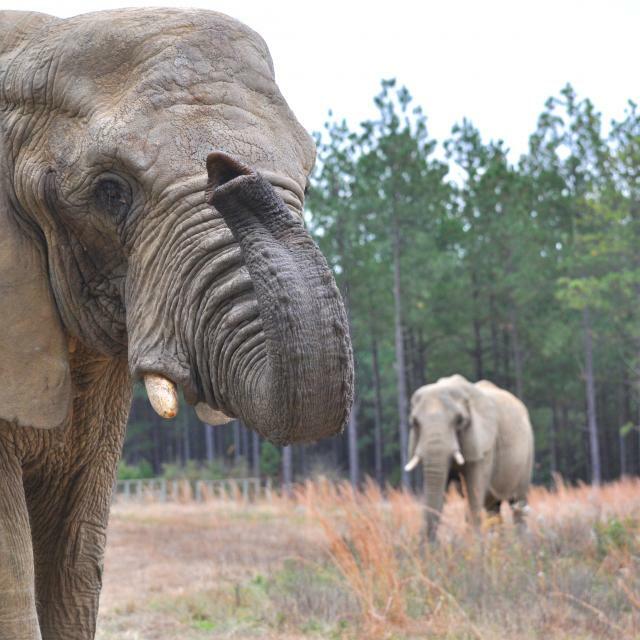 On March 3, 2004, Flora completed her trip from Miami to Hohenwald, Tennessee to become The Sanctuary’s 12th resident. 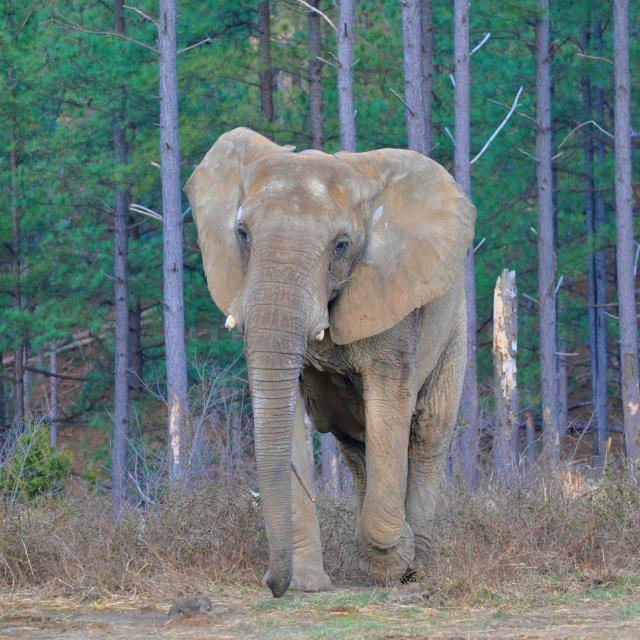 She was the third African elephant—joining Tange and Zula, who had arrived just a few weeks earlier. Flora possesses a very regal stature with loads of self-confidence and enthusiasm for exploring. Flora and her companions, Tange and Sukari, make full use of their expansive natural habitat. The three roam throughout, foraging, knocking down trees, and wallowing in the mud. Flora and Tange have grown increasingly close over the past few years, displaying affection through entwined trunks, sparring, and caressing. Tange often encourages and solicits play from Flora, exhibiting a continual strengthening of their social bond.